Both men's and women's fine hats and wigs benefit from placement on a traditional stand to allow air movement while retaining their shape. 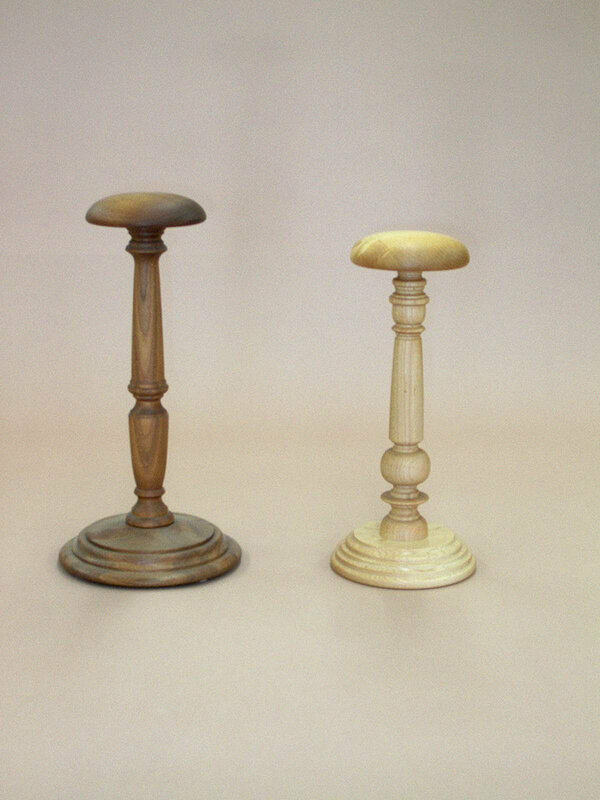 Whether at home or work, these stands will maintain the value of your hats and wigs and show their beauty. At present, two different designs have been made. The black walnut stand on the left was designed by Mike Darlow. The hard maple stand on the right, based on a picture found in Treen and Other Wooden Bygones, is a reproduction of an antique English stand. They are approimately 15 1/2" and 14" tall. On occasion one or both designs may be out of stock.